With The Ultimate Health Journal, log your diet, exercise, sleep habits, stress management, social life, time outdoors, and illnesses and symptoms so you can stay on track with diet, fitness, and other lifestyle changes you have begun or been prescribed, notice patterns in your health and lifestyle so you can enact positive changes, and provide a valuable tool for you, your family, and your healthcare team. 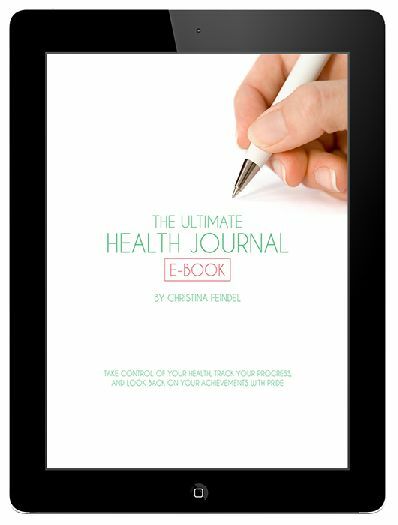 A health journal is exactly what it sounds like–a thorough record of your health, updated daily, chronicling your progress. With The Ultimate Health Journal, get a comprehensive guide to your health that isn’t so convoluted that filling it out every day will increase your stress rather than simplify your life. Logging your diet, exercise, sleep habits, stress management, social life, time outdoors, and illnesses and symptoms can help you stay on track with diet, fitness, and other lifestyle changes you have begun or been prescribed, notice patterns in your health and lifestyle so you can enact positive changes, and provide a valuable tool for you, your family, and your healthcare team. If knowledge is power, knowing your health history inside and out is the power to take control of your health, track your progress, and look back on your achievements with pride!